Second Opinion | How can a jury decide on a cancer cause when scientists can't agree? This is an excerpt from Second Opinion, a weekly roundup of eclectic and under-the-radar health and medical science news emailed to subscribers every Saturday morning. If you haven't subscribed yet, you can do that by clicking here. Reading the headlines lately, it seems as though there is suddenly new clarity — at least in court — about certain exposures that cause cancer. 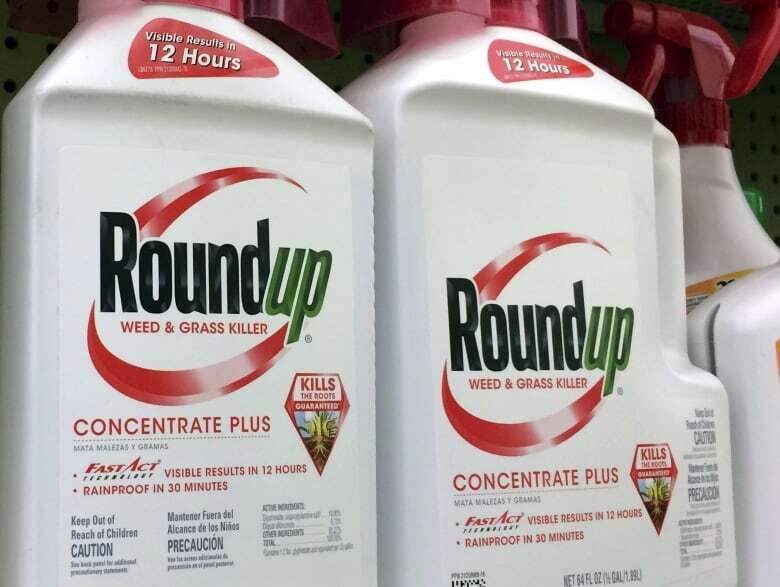 Two weeks ago, a California jury ruled that glyphosate—the most widely used herbicide in the world— caused non-Hodgkin's lymphoma in 46-year-old groundskeeper Dewayne Johnson, who was frequently exposed to Monsanto's Roundup Pro weedkiller at work. Monsanto was ordered to pay $ 289 million US in damages. Last month, a Missouri jury awarded damages to 22 women who claimed that talcum powder caused their ovarian cancer. Johnson & Johnson was ordered to pay almost $ 4.7 billion US. Yet scientists have not been able to conclusively establish those cancer links. And Canadian health regulators, along with governments around the world, still permit the use of both products. How can a jury be so certain of something while scientists and regulators remain unconvinced? And how worried should the rest of us be about these cancer risks? Part of the answer lies in the standard of proof. "By no means should anybody take that to mean that it's now been demonstrated that those things cause cancer. That's not what a court is designed to do," said Scott Findlay, a biologist at the University of Ottawa who also studies the relationship between science policy and the law. He helped write the Science Manual for Canadian Judges. In civil litigation, jurors are told to weigh the evidence differently than a scientist would. They don't even have to decide "beyond a reasonable doubt" as they would have to do in a criminal case. Instead, they are asked to decide on the balance of probability. Did the exposure cause the plaintiff's cancer? "I'm not sure, but I think so" is the answer one of the groundskeeper's lawyers, Brent Wisner, told jurors they needed to reach in the glyphosate case. "That's really the standard here," he told them. But scientists use a much different standard of proof when deciding if something causes cancer. "When scientists investigate hypotheses about causes, the presumption is that A doesn't cause B, and that presumption will stand unless there's sufficiently compelling evidence to overturn it," said Findlay. "So you can see there is a potential problem here. In a civil proceeding, the standard is actually a pretty low standard." 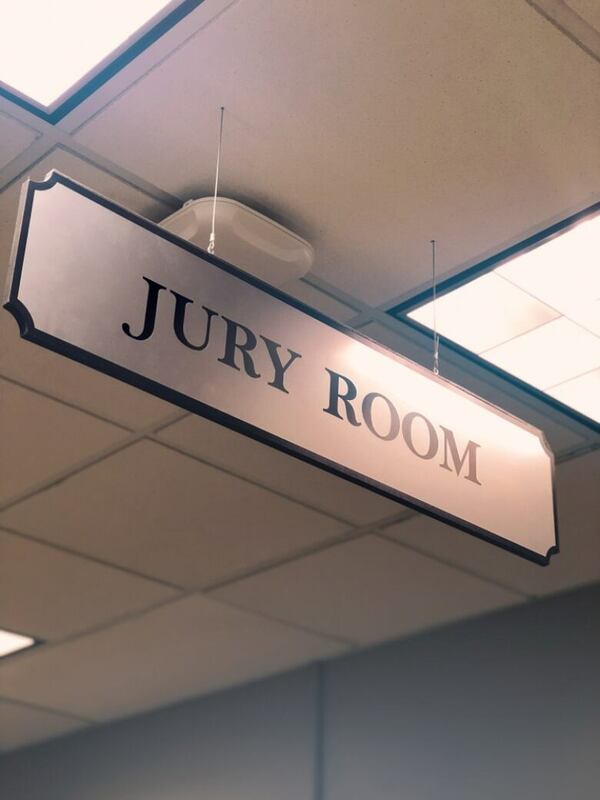 "As with any other witness, it is up to you to decide whether you believe the expert's testimony and choose to use it as a basis for your decision," she said in her instructions. "You may believe all, part or none of an expert's testimony." What should the public believe? But what should the public believe, especially when regulatory agencies don't agree on the risk? 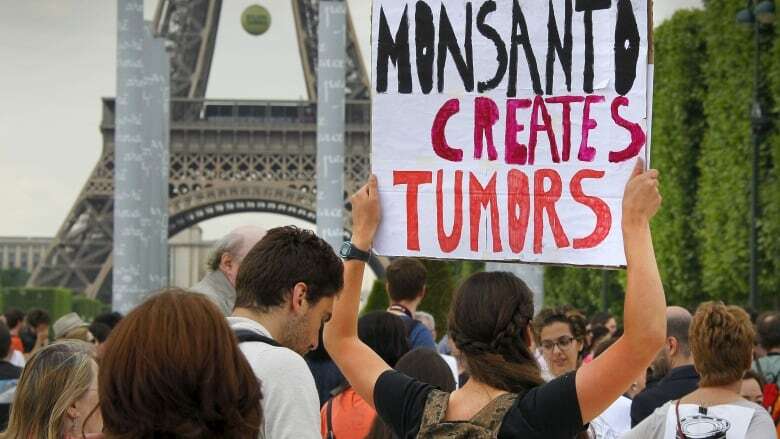 In 2015 the World Health Organization's expert cancer body, the International Agency for Research on Cancer (IARC) classified glyphosate as "probably carcinogenic to humans." But in a review last year Health Canada concluded that glyphosate "is unlikely to pose a human cancer risk." The IARC lists the use of talc-based body powder in the pubic area as "possibly carcinogenic to humans." But Health Canada only restricts talc in baby products. It's unlikely that scientists will ever have definitive answers to questions about cancer risk from widely used chemicals. That's because it's unethical to do studies deliberately exposing people to see if they develop cancer. "But that does not mean we shouldn't act on the evidence that we have," said Findlay. "Somebody has to decide at the end of the day how much does the positive evidence have to outweigh the negative evidence before we're willing to say okay for the purposes of decision-making it causes cancer." "This is why you can have, with exactly the same science, two different regulatory agencies making completely different decisions." The court cases also reveal the issue of duelling science. In the talc and glyphosate trials, lawyers on both sides have challenged the scientific methods used and the potential for conflicts of interest among the researchers. "You can design research to show that something is not harmful and maybe that it's even good for you," said Colin Soskolne, an epidemiologist from the University of Alberta. He says court cases can help reveal the way science can be manipulated, even if they can't make definitive scientific assessments. "Many cases get settled out of court. And they're not allowed to talk about the settlement. Those cases don't enter the public discourse and the scientific discourse." "But these [cases], where judgments are ruled, enter the scientific discourse and you can actually see all of the evidence that was produced in the process." Already some glyphosate court documents have made headlines because they suggest company involvement in scientific papers that appeared in the scientific literature. "So it really is profoundly important for public policy. It doesn't really advance the science a whole lot other than to help scientists to wake up to the fact that our science can be terribly misused," said Soskolne. It's not just the science that remains uncertain. The legal questions are still unresolved. Both companies have announced plans to appeal. And at the same time other plaintiffs are headed to court claiming damages from both glyphosate and talc powder. On Thursday, Werner Baumann, CEO of Bayer, which acquired Monsanto in June, told analysts the company is now facing 8,000 plaintiffs in U.S. state and federal litigation. "These numbers may rise or fall over time but our view is that the number is not indicative of the merits of the plaintiffs' cases," said Baumann. "Glyphosate does not cause cancer. The verdict was wrong. We will appeal the jury's opinion and continue to vigorously defend glyphosate, which is an essential tool for farmers and others," Monsanto Vice President Scott Partridge said in a statement. "We respect the legal process and have sympathy for anyone diagnosed with any form of cancer, but jury verdicts are not medical, scientific or regulatory conclusions about a product," Carol Goodrich, Global Media Relations at Johnson & Johnson Consumer Inc., said in an email. "To date, not one verdict against us has been upheld on appeal. We will continue to pursue all available appellate remedies to defend the safety of Johnson's Baby Powder because it does not contain asbestos or cause ovarian cancer or mesothelioma."